Thank you all for the great comments and suggestions about the suggested ELA adoptions for my district. Tomorrow is our first meeting, a little anxious and curious. I think it's hard to adopt a new series, it will be as though we are guinea pigs....there are bound to be problems with ANY new curriculum and/or series. I am also curious to hear what other teachers in the district think about using these. Let's hope I can control myself, and maybe not share TOO much of my opinion. Speaking of opinion (you like how I did that!?!?!) we have been working on opinion writing since before the winter break. I always start the basic opinion writing before Christmas because Christmas lends itself to many different opinion topics. 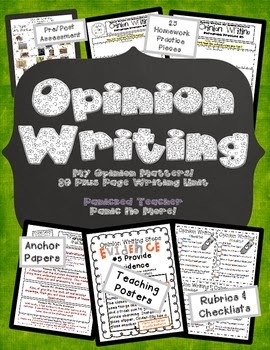 This year I chose to use a cute packet, My Opinion Matters by Panicked Teacher, to help guide my initial introduction of opinion writing. I LOVE the cute graphics and fonts. I also loved how I could print little pages for the students to glue into their writing journals, and project the color ones on the board. 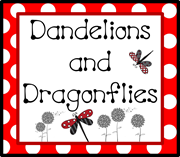 Click the picture below to check it out in her TpT store. 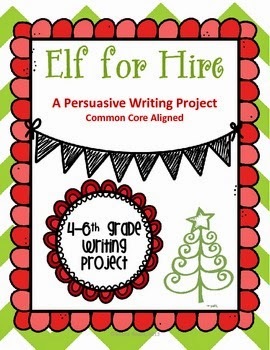 We also did our first opinion piece called An Elf for Hire by Teresa Kwant. It's FREE, so you may want to grab it now and put it in one of those many files you have on your computer. My students LOVED the idea of working as an Elf in Santa's Workshop. Click the picture to link over to her TpT store. Now that we are back from the break we are working on a "less scripted" opinion piece. My friend from GA sent me a link to a WONDERFUL site called The Reading and Writing Project. There is a HUGE amount of resources all in one spot! My students have narrowed it down to two topics that they can choose from individually... Should lunches brought from home be banned at school? or Should chocolate milk be banned from school lunches? I love the website because they have compiled YouTube videos, articles, and websites for these topics. Head over and take a look: The Reading and Writing Project (this link will take you directly to the digital nonfiction text section that I used for the opinion writing). As winter break comes to an end (boo), I am letting my brain slowly start thinking about school related things again. I began thinking about my upcoming meeting about a reading textbook adoption. Which brings some worry and concern. 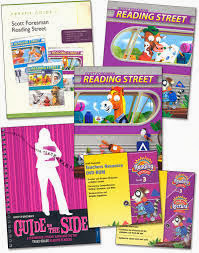 I have been doing Reading Workshop with a mix of Guided Reading for about three or four years now. I LOVE how I teach reading, using small groups, LOTS of picture books, reading centers (using pieces of Daily Five). I can use different texts and really dig into nonfiction. It does tend to be a little more work. When I was asked to be in the reading textbook adoption committee I had mixed emotions. 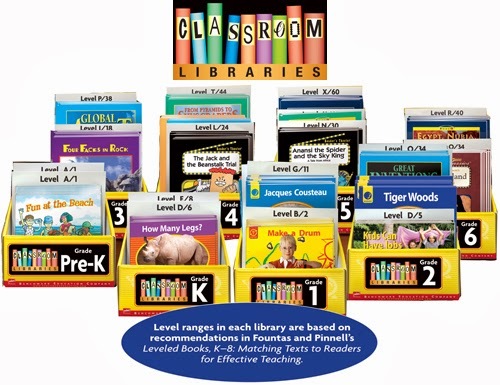 I know that because of Common Core the district is wanting to find a reading "program" to replace the old textbook, and they are pretty firm about having a textbook. I figure it's better to be on the committee and be able to voice my opinion then just be handed a textbook, but I'm also not willing to give up my Reading Workshop. 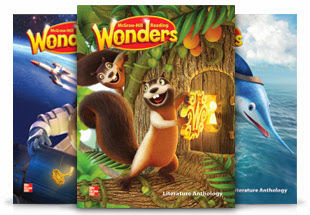 So here are the textbooks that my district is looking into adopting. Have you heard of or used any of them?? I would love to get some thoughts and opinions!